Everyone is greedy, including bureaucrats. Although the Occupy movement didn't have enough cohesion to articulate a coherent political position or any goals, it was clear that the occupy folks were angry at all the greed of bankers and businessmen. The Occupiers were convinced that bankster's excessive greed had brought down the world economy and plunged them into undeserved poverty. The Occupiers have a half a point, if not more. Banker, businessmen, and politicians are driven by greed. Greed can take the form of a desire for money, a desire for power, or a desire for pretty much anything else, but it all boils down to greed. The Occupiers wanted selfless, benign government employees to reign in those greedy businessmen in the name of "fairness." They don't recognize, or won't admit, that greed is a universal human characteristic. They don't seem to understand that bureaucrats are just as greedy and just as selfish as businessmen, they merely express their desires in different ways. 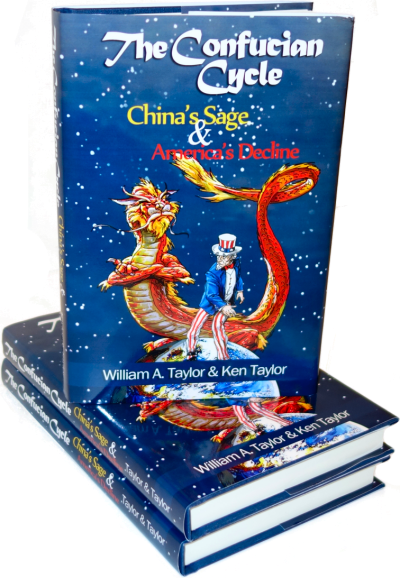 All nations, societies, and businesses have suffered from bureaucratic inefficiency and budget growth ever since the Chinese invented bureaucracy some 5,000 years ago. Even though he had the power to order anyone executed at any time, the Emperor couldn’t do much work by himself. He had to work through layers and layers of government employees to get anything done, just like the President of the United States. These ambitions aren’t unique to government employees, of course. Other than hard-core workaholics, everyone would like to get by with less work. Every worker and every work group would like to more money next year, and we’d all like to retire comfortably as early as possible. In Confucius’ day, bureaucrats were the only people who could achieve these goals. Between 80% and 90% of the Chinese were farmers. If they slacked off a bit, they’d have less to eat. No matter how hard they worked, the land yielded only so much. To be able to retire at all, a farmer had to raise sons who’d take responsibility for feeding his parents when they could no longer work. Bureaucrats had much richer opportunities to better themselves at public expense. Political maneuvering might get an official more subordinates to share the load or increase the budget in other ways. A lifetime of crafty manipulation could lead to running a big department and skim off enough accumulated wealth to support a lavish retirement. American government employees were given many more opportunities to enrich themselves in 1962 when President John Kennedy signed Executive Order 10988 which allowed federal employees to join unions. Since then, unions have negotiated gold-plated raises and pensions for their members. Officials are glad to grant pensions because they assume the bill won't fall due until they're out of office. Unfortunately, the bills are falling due, and the results of bureaucratic greed are beginning to make the news. The New York Times reports that state governments have been lying about how much money they plan to make on the investments which are supposed to fund their pensions. The more they assume their investments will earn, the fewer dollars governments are required to contribute to their pension funds. Making wildly over-optimistic assumptions about earnings makes the problem a lot bigger later on, of course, but our leaders don't care about that. It's fascinating to note that the employee unions, who ought to care the most about the stability of their pension fund, are generally opposed to making more realistic earnings estimates. But lowering their investment assumptions, even slightly, means turning for more cash to local taxpayers — who pay part of the cost of public pensions through property and other taxes. Dropping the anticipated return from an absurd 8% to a slightly less ridiculous 7% would require that the city pay $1.9 billion more into the pension fund each year. Pensions already cost more than 10% of the city budget. Acknowledging the obvious fact that pensioners are living longer than expected would require $2.8 billion more per year on top of that. This proposal has been resisted by the union officials who serve as trustees of the pension fund. These union members know very well that if the assumed earnings are adjusted closer to the 5% that pension funds were receiving before the markets crashed, the cities and states would have to hand over a lot more money to the pension funds. This extra money would have to come from taxpayers. The unions rightly fear that taxpayers would rebel if taxes were put up enough to fully fund their greed. They're trying to keep us from finding out just how much they've taken from the taxpayers. A few courageous leaders are trying to put the "house that greed built" in order. Lowering the rate [of return on pension investment] to 7.5 percent meant Rhode Island’s taxpayers would have to contribute an additional $300 million to the fund in the first year, and more after that. Lawmakers were convinced that the state could not afford that, and instead reduced public pension benefits, including the yearly cost-of-living adjustments that retirees now receive. State officials expect the unions to sue over the benefits cuts. Other governments have been accused of securities fraud for making such unrealistic assumptions when they ask for loans. Governmental greed is just as real as business greed. That's something to keep in mind the next time you hear about some wonderful new government program that will right all wrongs and bring universal happiness. Government programs always bring happiness to the new government apparatchiks, but for taxpayers, they end in tears. The comments on greed are absolute truths. Once again we have allowed the left to bastardize the language control the conversation. When will we ever learn? We must quit being so afraid of our own shadow and call a spade a spade. The right is full of wimps who cater to the middle. If the middle cannot take a sensible broadside to the left then they are not worth going after. I believe that the middle is ready to make a huge move to the right for a long time. President Obama does not praise profits, because of his ideological voter base - but profits are a huge part of state and federal tax revenues. This disconnection from economic reality is the Demo party albatros and reliance on borrowing (at all levels of goverment) instead of profits for financing government obligations is the core cause of our current economic distress.